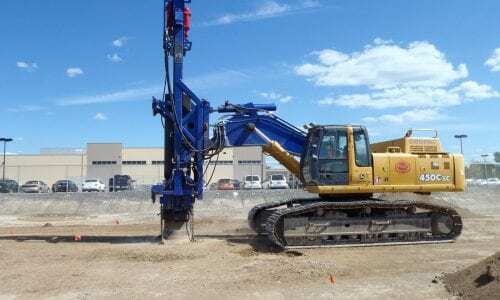 This project involved the construction of four commercial retail units, which are part of a larger retail complex located in Kemptville, East of Hwy 416 at Hwy 43. A fully operational Staples store is located adjacent to the compaction area with several smaller retail units operating in the area. 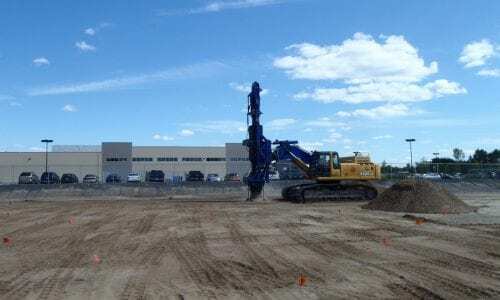 A geotechnical report revealed that before construction could begin, soil improvement was necessary to support the new building loads. A layer of up to 2.0 m of sand and gravel fill was encountered across the site and classified as unsuitable to support the store foundations in its present state of compaction. 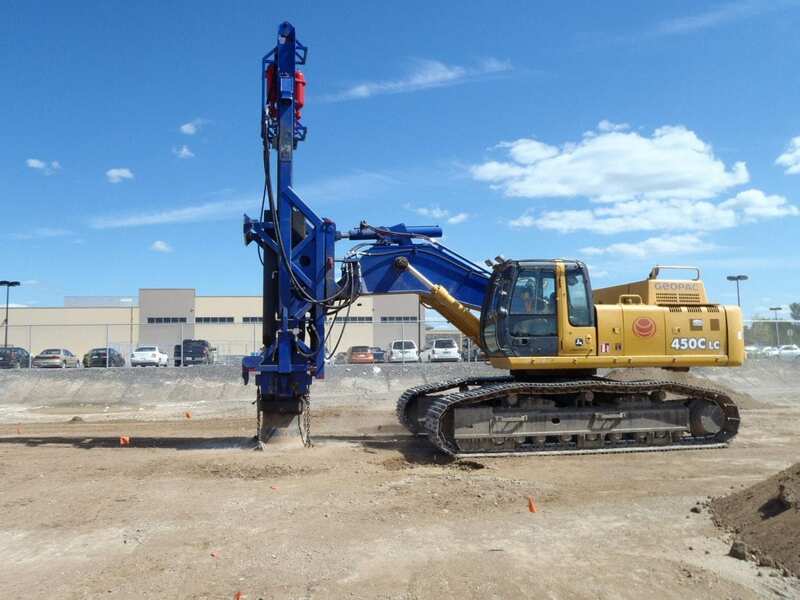 Menard Canada proposed a ground improvement approach of Rapid Impact Compaction (RIC) using the Menard CanadaTOR to compact the upper 3.5 meters of soil, providing a stable founding soil. The objectives of the treatment are to: densify the soil and attain a minimum bearing capacity of 150 kPa at SLS with a safety factor of 3, have a maximum calculated total settlement of 10 mm and a minimum standard penetration test (SPT) – (N1)60 value of 15. 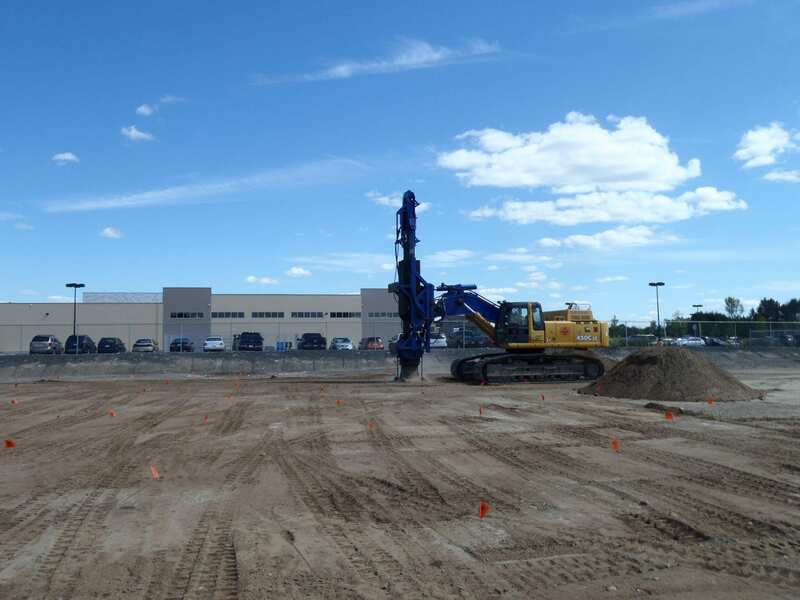 The total area improved using Menard Canada’s Menard CanadaTOR, RIC solution was 3,700 m2. Based on Menard Canada’s design, a 9 ton steel weight was dropped from a height of 0.9 m, up to 40 times per minute, under the slab areas and footing locations. The RIC program was completed on schedule, with all tests achieving the intended results. 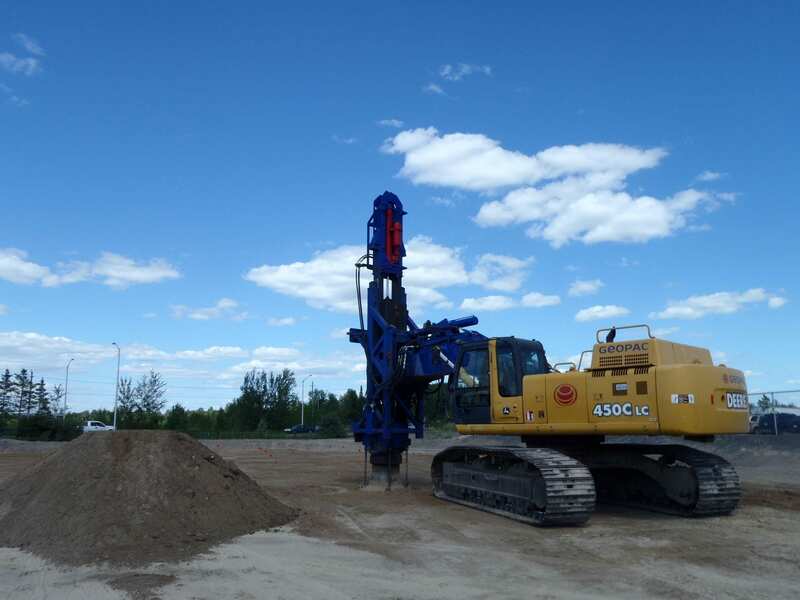 Menard Canada delivered an appropriate solution of soil improvement, providing a cost-effective method of ground improvement appropriate for the project and for the site.